I slept in a shopping mall on Christmas Eve. Seriously, I did. Since my mother just moved to a tiny condo, we stayed at a hotel in a fancy mall. Normally I feel out of the loop on Christmas (being Jewish and all), but this year I was smack dab in the middle of one of D.C.'s major shopping districts. 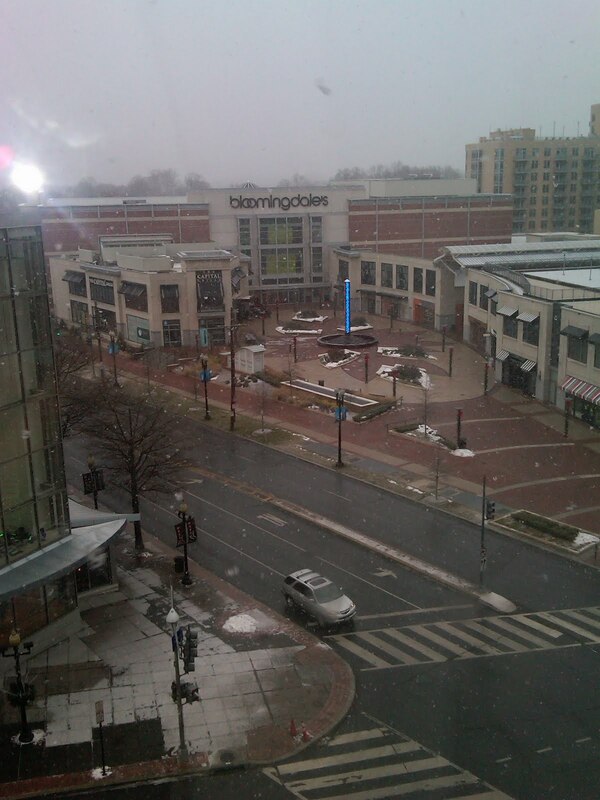 Living above J.Crew and gazing out at the Bloomingdales in another mall across the street. translation: I dreamed that J.Crew opened its doors on 12/26, and I was right there. There was a pile of marked-down cashmere sweaters, all in my size, and a smiling salesperson who was Russell Brand told me that they were actually free.